CBSE has defined JEE Main Eligibility Criteria 2018. The eligibility criteria of JEE Main 2018 are set norms which the candidates must satisfy in order to appear for the exam. The criteria are concerned with Age Limit, Education Qualification, Number of Attempts, etc. Also, it is advised to students to ensure that they fulfill the eligibility conditions before proceeding to apply for JEE Main 2018. The registration can be done from December 01 to January 01, 2018. 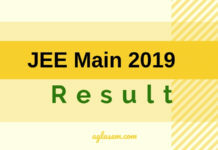 The JEE (Main) will also act as an eligibility test for the Advanced, which the candidate has to take if he/she is aspiring for admission to the undergraduate programmes offered by the IITs. 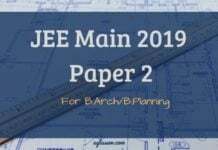 Candidates can check all the details about JEE Main 2018 Eligibility Criteria in the article below. The eligibility criteria for JEE Main 2018 is limited to Age Limit, Education Qualification, Number of Attempts, and Qualifying Examination. However, there is a separate specific JEE Main Eligibility Criteria for NIT, IIITs, SFIs and CFTIs Admissions. The candidates should know and ensure these criteria as well because, during JoSAA counseling, the seat will only be allocated to candidates if it is satisfied. We will advise that before check the eligibility criteria, the candidates may also check the below mentioned important dates. The candidates are required to ensure following the parameters in order to appear for the examination. Note: The date of birth will be considered as mentioned on the Secondary Education Board/University certificate. The candidates should have appeared for Qualifying Examination in 2016 or 2017. Candidates who will be appearing for the final exam in the year 2018 are also eligible but they need to submit the certificates before the due date. If a candidate did not pass the Qualifying Examination in the year 2015 but passed in 2016 is not eligible. In Qualifying Exam, the candidate must have studied at least 5 subjects. Each candidate can appear for JEE Main only 3 times. Candidates should note that these states joined JEE Main system in the year 2014. Hence, the institutes in these states will grant admission as per the past practice only. The age limit and attempts will be as it used to be. 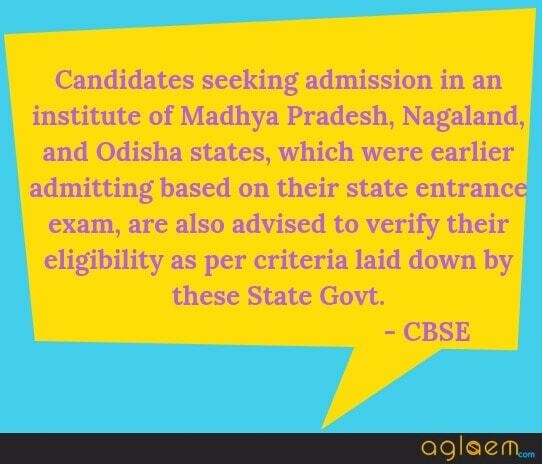 Despite it, candidates should note that it will not be applicable for IITs / NITs / IIITs / CFTIs admission. The candidates will only be granted admission if they will qualify JEE Main 2018. Previous year JEE scores will not be considered. Candidates should have secured either 75% in Qualifying Examination or should be among Top 20 Percentile of respective School Board. For the SC / ST candidates, the minimum marks percentage in Qualifying Examination is 65%. However, the Top 20 percentile criteria remain the same. The percentile score of a candidate shows the score of the candidate with respect to the number of students. Here, the percentile score of the candidate from the exam is 16.18 while his/her percentage in the exam is 50%. Question: Is it possible that someone who has not 75% (or 65%) appears for JEE Main 2018 and gets a rank, can get admission in a college that accepts students who have less than 75%? You can ask all your questions on JEE Main 2018 Eligibility Criteria at discussion forum. Class 12 board exam which any recognized central/ state Board conducts; such as CBSE, ISCE. Intermediate or two-year Pre-University examination which a recognized Board/ University holds. National Institute of Open Schooling (NIOS) Senior Secondary School Examination with a minimum of five subjects. Any Public School/ University/ Board examination in India or in any foreign country which the Association of Indian Universities (AIU) recognizes as equivalent to the 12th standard. A Diploma which AICTE recognizes or a state board of technical education of at least 3-year duration. General Certificate Education (GCE) examination (London / Cambridge / Sri Lanka) at the Advanced (A) level. If the relevant qualifying examination is not a public examination, then the student should have passed at least one public either Board or Pre-University examination at an earlier level. If you have any other queries regarding JEE Main 2018 eligibility criteria, please ask in the comments below. There is no specified percentage criteria in class 12th for appearing in JEE mains exam. 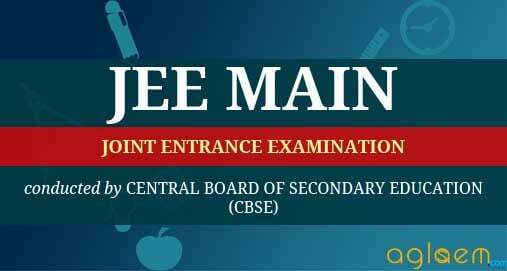 Yes you are eligible to apply Jee mains exam because the requirement to apply the jee mains exam is to pass +2 only. My son studied uoto Xth class in tamilnadu. Now he is studying +1 and +2 in karnataka state. For joining NIT which state he is eligible. Which state is HS – Home state. He will be eligible for joining NIT in Tamilnadu where he completed his class Xth. So, his home state will be tamil nadu. He can apply for NIT Tamilnadu. If a student doesn’t pass in 12th for first time and does a fantastic result for 2nd time , will he be eligible for JEE MAINS ??? yes the candidate id eligible for the same. If a student is doing diploma (polytechnic) after 10th ….will he/she be eligible for jee mains ?? No the candidate is not eligible for JEE Mains. Is it compulsory to qualify in paper 1 to get into nits through paper 2 for architecture? Hey Manya,it is not compulsory to clear paper 1 to get admission through paper 2. I have got 75% overall(pcm+2 language subjects) in my 12th….but my combined percentage of pcm only is 74%…. Will i be eligible for IITs and NITs? Sir i have complete 10th and ITI and diploma with lateral entry….should i am eligible for JEE Mains..
No you need to have degree for class 12 for JEE Mains. I have got 60% in my 12th in 2017….. I scored 51 marks in jee mains 2018…I belong to gen-pwd category… My gen-pwd rank is 484… Is their any chance to get admission in NITs?????? Sir i am a diploma holder is I am eligible for jee mains ? Yes,you are eligible for JEE.All the best. Hey Gaurav yes you can apply for the Private colleges. if a student not qualified 12th in first time but qualified in second time with a fantastic percentage …then he or she eligible for jee main exam. Hey Shubham have you ever registered for JEE Main? My son is studying +2. He will write both jee main and advanced. If he will fail in advanced then using jee main marks, is he will apply for NIT? Can i apply for jee mains in +1? If i apply for jee mains in class 12 and then give its exam after passing 12 then how many more attempts can i make? In total how many attempts can i make in a year as per new policy? this year, as per the information brochure, there is no such criteria. 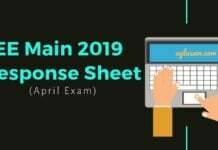 As per the recently released information brochure, anybody who has appeared for class 12th boards exam in 2017 or 2018 is eligible for JEE Main 2019. Even candidates who will be appearing for boards exam in 2019 are also among the eligible candidates. rest you can check from that link. Sir, i’ve qualified 12th in 2017 from J&K board of school and education with 73%. Can i apply for jee mains? How can i check whether i’m in the top 20 percentile or not? Sir mine total score in JEE is 50 according to this marks i can qualify or not sir?? First there is qualifying only some marks are fixed for JEE Advanced. I belongs to st students, got 66% average marks in class 12 board exam but in PCM the average marks is only 60%. Am I eligible to get admission in NIT colleges?